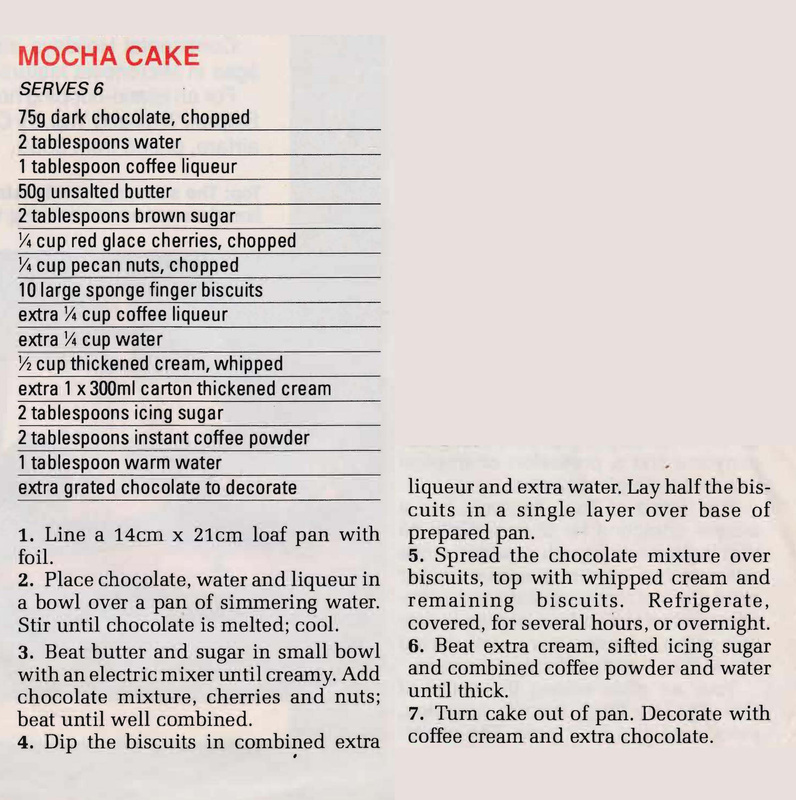 This is another of Woman’s Day’s No-Bake cakes. I think they’re a great idea for a do-ahead dessert either for the family or when you have friends visiting. This entry was posted in All Recipes, Desserts and tagged 1990s, cherries, chocolate, coffee, cream, mocha cake no bake, nuts, sponge fingers by bebsrecipes. Bookmark the permalink.